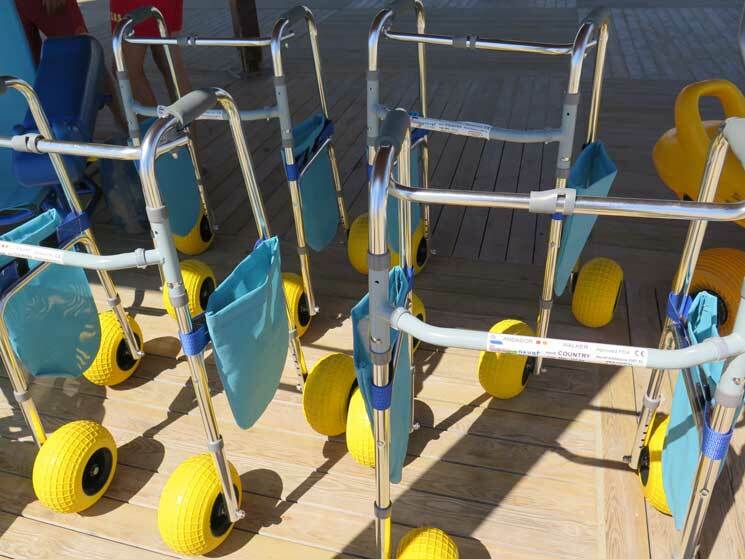 In a move which has to be applauded, the San Jose Council have unveiled a range of new equipment aimed at making beach access easier for people with disabilities. According to the coordinator of aid, Marcos Chércoles, many users who try the service will repeat it every day of their vacation. 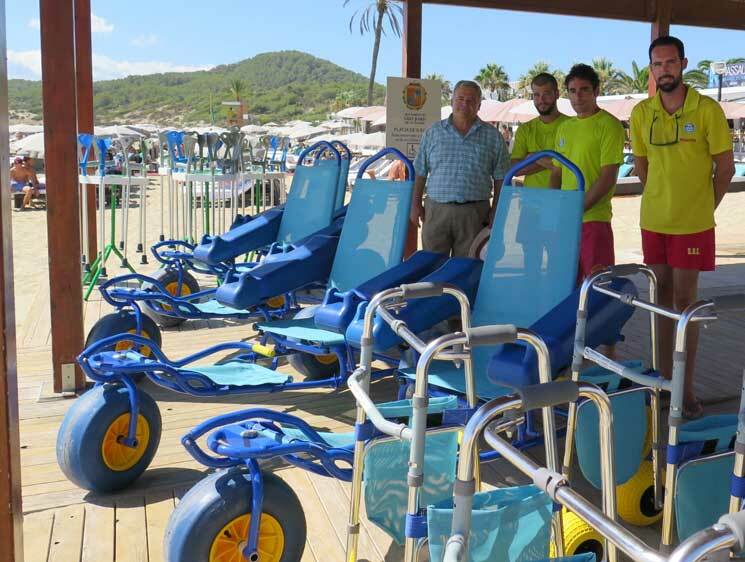 Users are also residents on the island, and several use the service on a regular basis throughout the season. The beach was most assists is Playa den Bossa, with 55, followed by Port des Torrent (28), Salinas (25), Cala Tarida (18) and Cala Bassa (16). 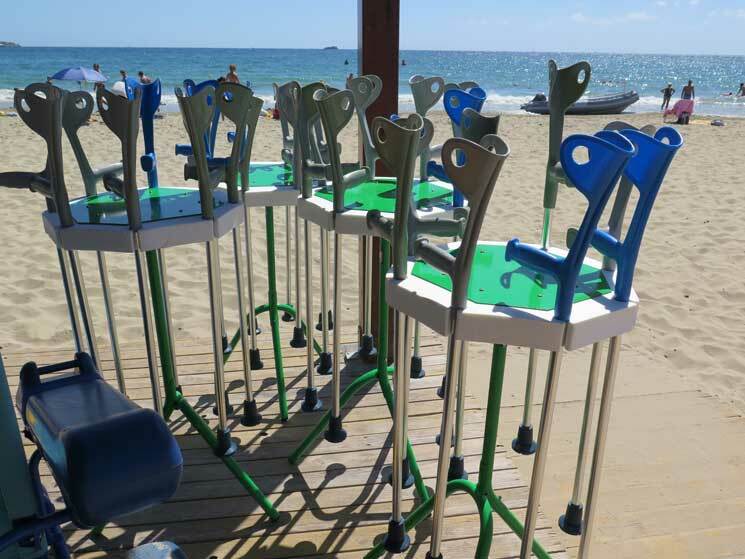 Thanks to the additional material, service can now be extended (always with prior booking) to users who request the beaches of Cala Comte, Pinet Playa and Cala Vedella. This newspaper, along with many others, feel San José got it totally wrong with their handling of the beach sunbed concessions this year, but for this initiative they deserve all due credit.